The design concept of the "Plimsoll Line" is reflected across every graphic element. The materials match the architectural environment. 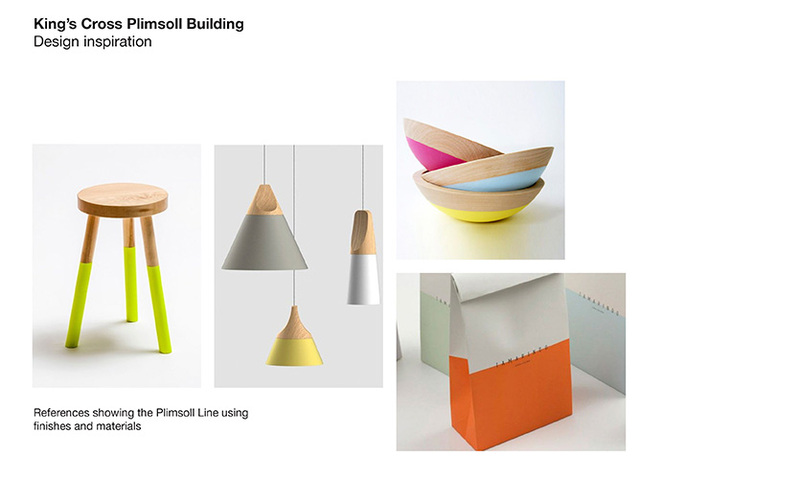 A moodboard to set up the design concept of the Plimsoll Line for the Plimsoll Building. It was very important that the method of creating the line was authentic to the design concept. Every sign is true to the concept. A bespoke and simple set of icons were created. The "line" and material change work together to enhance the concept. The "line" can move to help reinforce vertical circulation on floor directories. Arrival signs are built up letters and the line run horizontally through the middle of each letter. The manifestation on the glass is an extension of the "line." Samuel Plimsoll was a politician and social reformer during the time of Queen Victoria’s reign, campaigning for the safety of miners and investing in the railway coal drops at King’s Cross. Using his background, and having been inspired by several major shipwrecks, he devised what became known as the Plimsoll Line—a reference mark located on a ship’s hull that indicates the depth to which the vessel may be safely immersed when loaded with cargo. That was the inspiration behind the design for the wayfinding scheme. 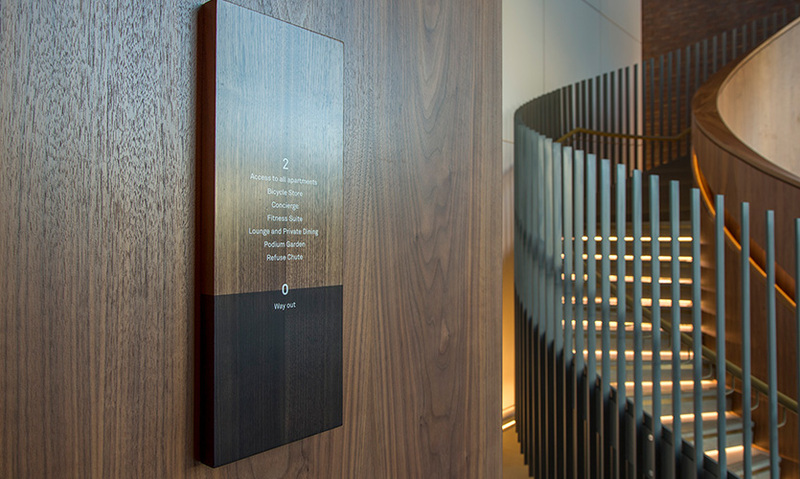 The design team’s challenge was to create a bespoke wayfinding solution that exudes luxury and exclusivity, while also providing easy navigation of a complex building. Holmes Wood was employed from an early stage to review the wayfinding requirements of the visitors and residents to the building. The scope covered all external and internal signs and graphics, including building naming, directories, directional signs, apartment and facility naming, manifestation, car park graphics and a separate scheme for the school. The unique situation of having a school on the lower levels meant they needed to have a good knowledge and understanding of the building layouts as well as the arrival points and approaches to the site for the various user types. 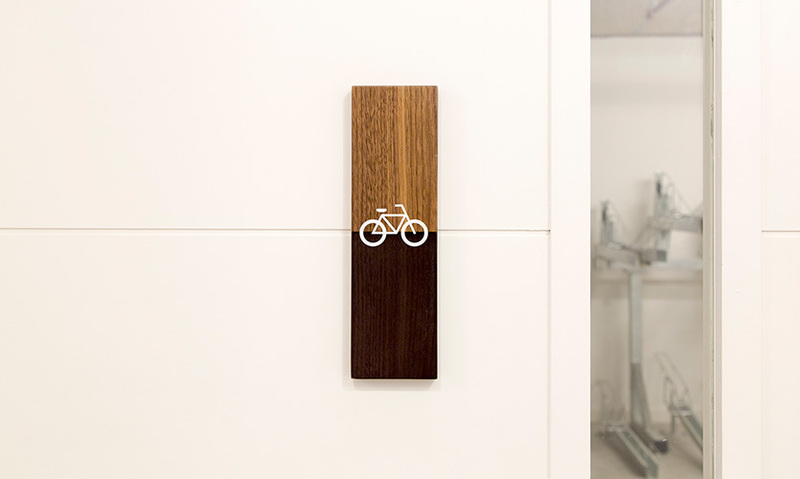 The team established key strategic principles for the wayfinding components including nomenclature and level numbering, a clear hierarchy of information and sign family components in order to deliver the necessary content. 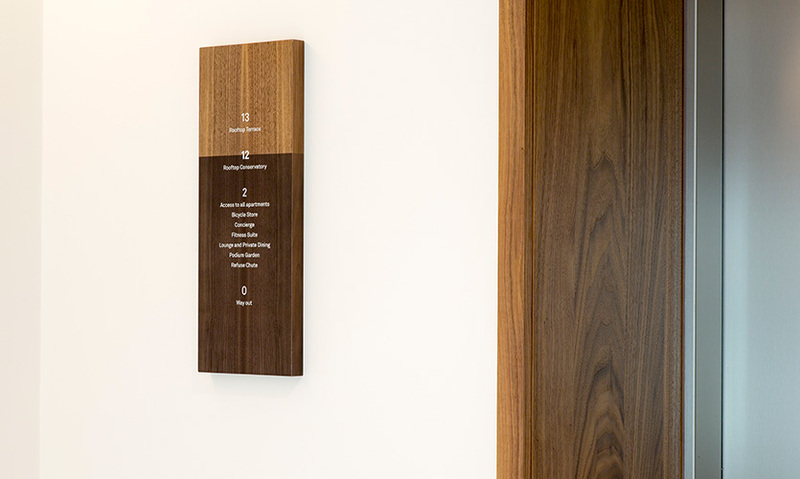 Alongside a comprehensive wayfinding strategy, they designed a unique solution that built on the provenance of the building name and integrated seamlessly with the architecture. The typography and information graphics are horizontally symmetrical to allow for a centered Plimsoll Line and reference the language of ship and cargo graphics. The level directory implements a simple system of the panel being submerged up to a Plimsoll Line which corresponds with the vertical movement through the building. 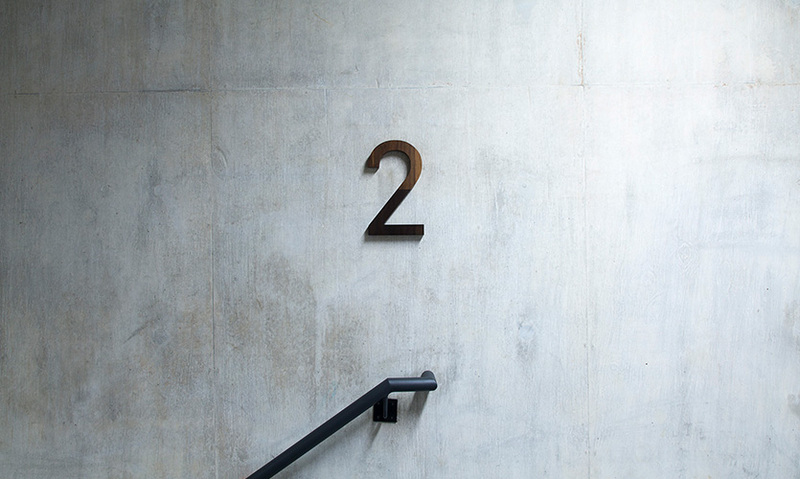 On directional signs, the Plimsoll line splits content and directions. All components are installed in line with the architectural Plimsoll Lines that feature in the wall paneling throughout the building. 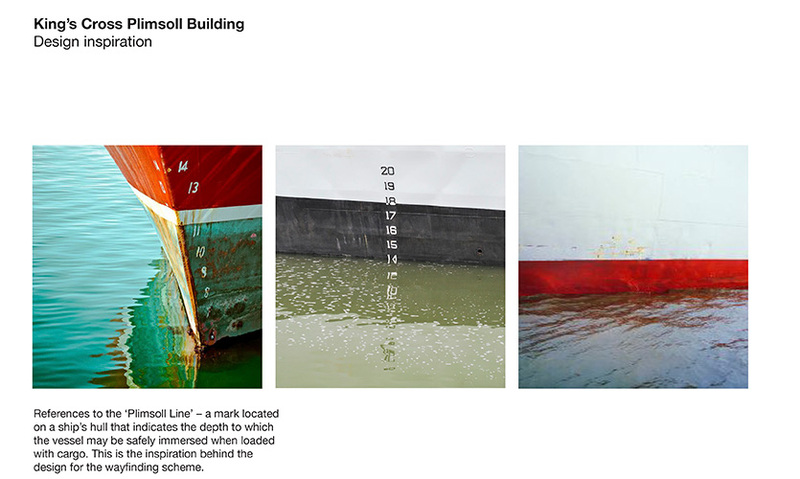 The manifestation is a more literal interpretation of the Plimsoll line in the format it appears on a ship's hull. The materials and color palette references the interiors scheme. The building has now been occupied for the first time, therefore putting the wayfinding to extensive use. 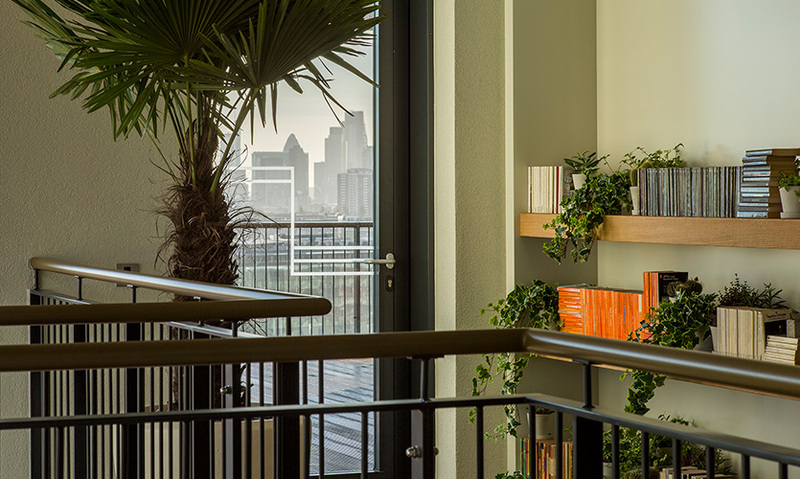 The client has had overwhelmingly positive feedback about the design and effectiveness of the scheme, with owners and their guests appreciating the design and able to navigate with ease. 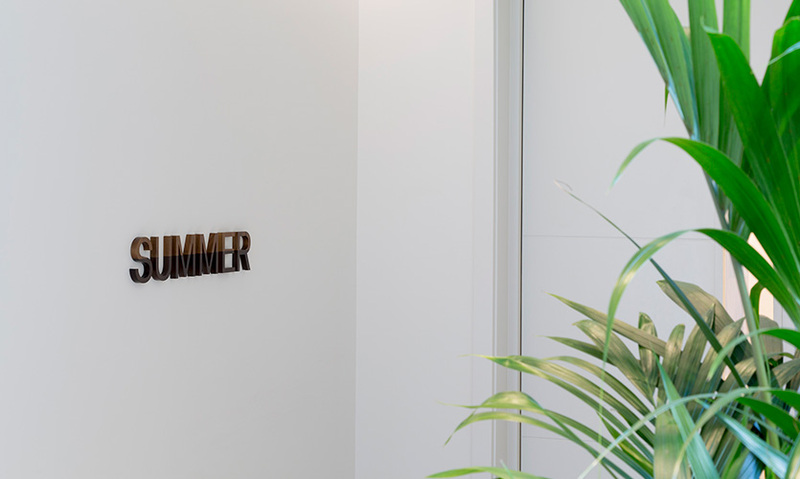 "A bespoke sign program that speaks about The Plimsoll Building’s namesake. Samuel Plimsoll devised the cargo ship waterline that now divides the crafted wood signs and is reflected in linear window demarkations. The maritime heritage of this sign system floats to the surface in bustling riverside London." "Inspired by the Plimsoll Line on a ship’s hull—this project is thoughtful in concept and spectacular in its subtle execution. It is extremely cohesive because the underlying concept is both fitting and translated with grace throughout every installation."